Cloud technology company AppLayer has released the first of a planned series of 'business in a box' solutions to provide secure, monitored working environments in the cloud for specific business sectors. 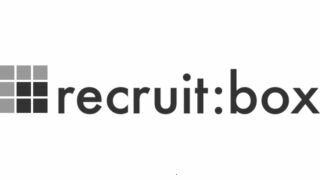 Named RecruitBox, the first release is aimed at the recruitment industry. AppLayer says it has been designed to help deal with sector-specific issues including high staff turnover, mobile working, staff productivity, worries of employee data theft and costs of IT support. Staff members are provided with Windows Hosted Desktops, on which they can access all the software and applications they need, including the company's preferred recruitment software. RecruitBox's features include: a hosted desktop providing a central point for all software and files and remote access for approved team members and devices; access from any device in any location; hosting of recruitment apps such as Voyager and Eclipse; access to business applications such as Office, Sage and those specific to an industry; security and monitoring features; and activity profiling. Andrew McLean, Director of AppLayer, said: "It is the first of our 'business-in-a-box' cloud solutions, which are designed to make technology simple, accessible and easy to manage for any SME."